Fundamental to an understanding of the Roman Republic is comprehension of the tribal system employed to organise citizens. Used first for the census, raising an army, and tax collection, tribes later became voting districts for the election of magistrates. Voting districts were distributed geographically in and around the city of Rome and eventually throughout the Italian countryside, and they have been studied through evidence largely textual and epigraphical. In this volume, first published in 1960, evidence is adduced to locate and describe the tribes' locations. In his major new update, Lily Ross Taylor's disciple and scholarly follower Jerzy Linderski brings forward new evidence resolving earlier cruces, updates the lengthy bibliography on voting districts, and situates this invaluable work in its historical perspective. 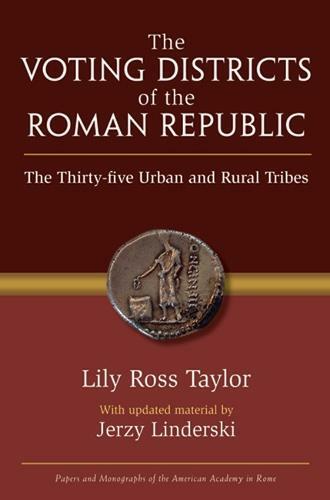 "[Taylor's] work in this area is still of vital importance to every student of the Roman Republic, and Linderski's commentary and synthesis of new evidence will itself prove to be essential reading for anyone pursuing research on the tribes, the constitution of the Roman Republic, or any area of Roman society in the Republican period." "As never before, one can see the Roman political system in Italy at work." "This long-awaited work is, after Broughton's MRR, the most important book for the historian of the Roman Republic that has appeared in English since the war."